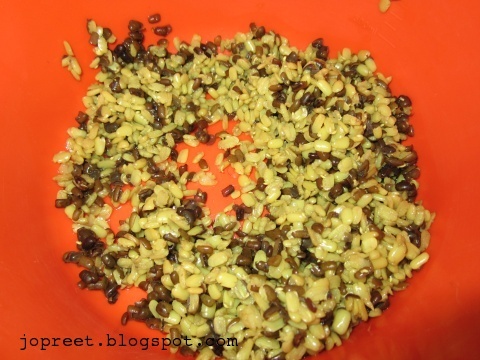 Boil the split black grams with turmeric powder and little salt in water for 15 mins. Cook it covered. Once dal is cooked, remove from the heat and drain the water completely. Heat oil in a kadhai and temper mustard seeds. Add dry red chilies and cumin seeds. Saute a while and add chopped onions. Fry till it turns golden brown and add chopped tomatoes. Mash it and add ginger-garlic paste. Saute a while. Add red chili powder, asofoetida and salt to taste. Mix all and cook for 5 mins without adding water. Add cooked black grams and mix with the masala. Cook till the water is completely absorbed and garnish with chopped coriander. Serve hot. You can also sprinkle lemon juice. 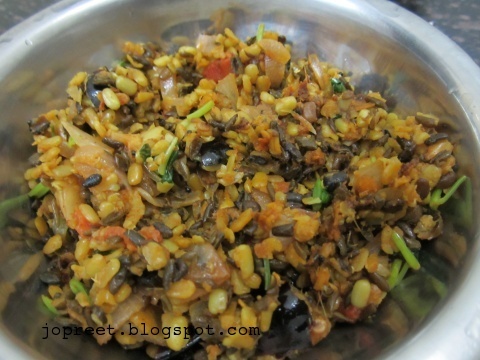 Urad daal looks delicious and perfectly done..
Never knew this recipe. Looks great. 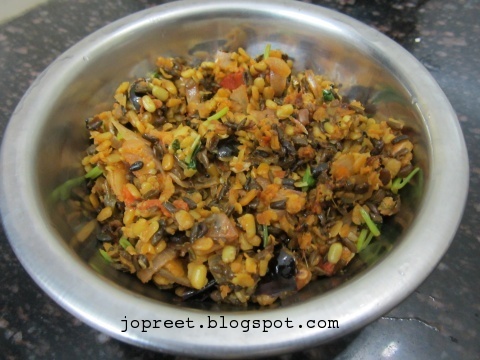 This looks delicious, haven't cooked much with black gram dal.. This is a new dish to me! Protein packed recipe!